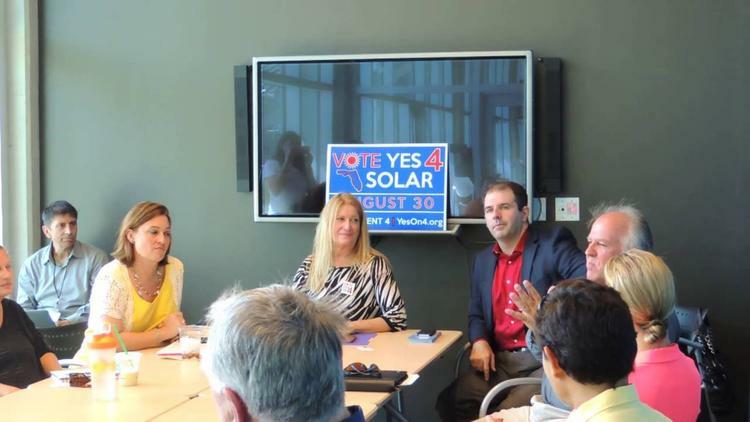 The Florida voters have overwhelmingly passed Amendment 4, which exempts solar panels and solar equipment from extra taxes. 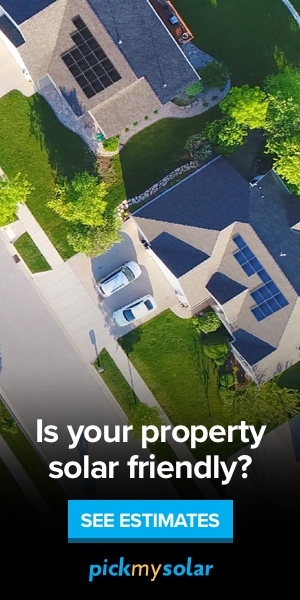 Before this, if someone put up solar panels on their house in Florida, as we did in Michigan, and it caused the value of the house to increase (it usually does), then homeowners had to pay taxes on the increase value. Likewise companies that leased solar panels had to pay taxes on them as capital equipment, making leasing rates higher than they otherwise should have been. Also, since the state’s constitution gave utilities a monoply on energy generation, leasing the panels was problematic. Florida is number 3 in the country for solar potential, but number 18 in installations, largely because of nefarious dirty tricks by the Carbon Moguls. That ugly past may not be over, but it is receding. The polling suggested that 73 percent supported the constitutional amendment, whereas it only needed 60 percent to pass. What is amazing is that both houses of the Florida legislature voted by unanimous vote. In the past, the Florida legislature had been hostile to renewable energy, apparently taking money from the Koch Brothers’ ALEC lobby and from Florida utilities to hinder it. This time, Republican politicians began speaking of “energy freedom,” seeing the ability of homeowners to put up solar panels as more congruent with the free market than utility monopolies are. For some of those who talk that way, it is a matter of personal conviction. For others, it may be that they now have money from green energy PACs. Note too that the cost of installing solar panels has plummeted over the past 4 years, so that a lot of homeowners are now interested in it who had not been before. One of the things I dislike about the mainstream press is that none of the network reports on Amendment 4’s victory admitted this sordid history of bought politicians dirtying up and boiling the planet. I just linked to fcir.org, an investigative journalism outfit; please give them money. Or consider this piece at The Rolling Stone explains how past attempts to get something like Amendment 4 on the ballot were foiled by the utilities and the Kochs. Right. So if someone put in an energy-efficient refrigerator, should they be fined for that? And, actually, of course, people who can afford to get solar panels but do not install them are the ones who should be fined. They are putting billions of tons of carbon dioxide into the air, which causes global warming and sea level rise. If second-hand smoke makes smoking in the presence of minors or on state property a crime, then surely dumping lethal CO2 out there should attract an even larger fine. Some environmentalists in Florida are afraid that people will vote for Amendment 1 without fully understanind its regressive implications. But I think what Amendment 4 demonstrates is that the days when the politicians who are in the back pocket of Big Oil can run on a denialist platform and just snow the public are over. Green energy is so popular in heavily polluted China that 93% of consumers say in polling that they would pay more for electricity generated by renewables. The Chinese government faces pushback from coal miners and other big groups of workers for its rapid dash toward green energy, but this poll shows that Xi Jinping can rely on the support of the public for his unprecedented program. The sea change in public opinion is coming too late to stop us from getting to a 7 degrees F./ 4 degrees C. increase in global average temperature over the next few centuries. That is problematic, since it is not clear that human beings can flourish in a world that hot and possibly unstable. But there is a difference between a 7 degrees F. and a 12 degees F. increase, and there’s some hope we can avoid the latter.